We offer a full range of property management services tailored to you as an investor, homeowner, or landlord. 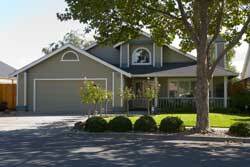 We have an extensive porfolio with over 300 single family homes, townhouses, condos, and apartments in the Gaston area. On December 28, 1894, the town of Gaston was created; it wasincorporate into Lexington County in October 4, 1974, with a populationof less than 1,000. The original limits of the town only extend one half mile north,east, south and west to form a square mile with the railroad depot of theFlorida Central and Peninsular Railroad Companies at the center. During the early colonial times, the original inhabitants of thisarea were the Cherokee Indians. They dominated most of the midlands,but a treaty was drawn in 1785 which resulted in the Cherokees leavingSouth Carolina by 1817 on “The Path” (also known as the Trail ofTears) leading out of Charleston to what is now the Columbia area,passing near here beside Highway 176. The Congaree Indians also lived close by in a village on the CongareeRiver opposite present Columbia. They started leaving the areaaround 1716. Most of the longtime residents of this area are descendants of thepeople who lived here before Gaston became a town. Some of them canbe traced back to the 1700’s. This once rural farming community had a church, several schools,a skating rink, a mercantile store, a drug store, a doctor’s office and arailroad depot. Over the past 100 years, the town had a sawmill, turpentine distillery,several grits and flour mills. The primary crops during the 1800’sand afterwards were cotton, corn, sweet potatoes and some wheat. Ourmain street, Highway 321, was a two lane dirt road that was pavedaround 1927. Quite a number of streets were named after local citizens.